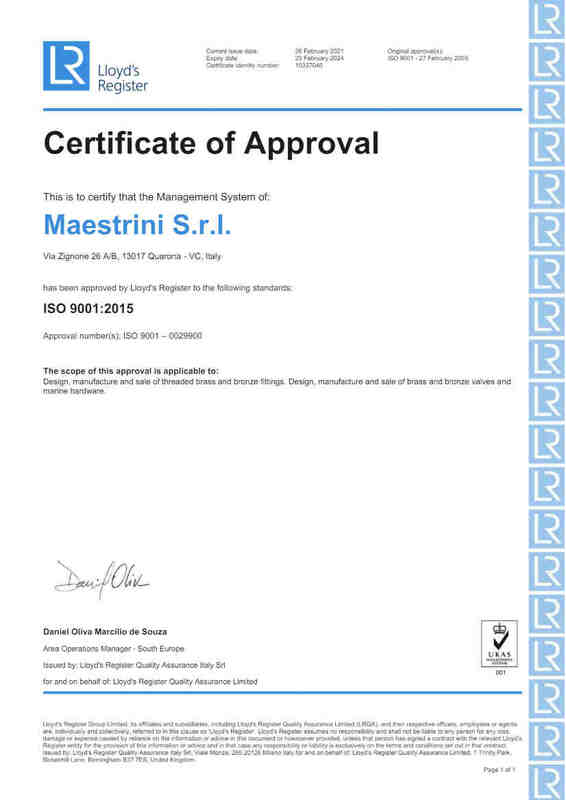 Our company has a quality system ISO 9001 certified from Lloyd's Register. 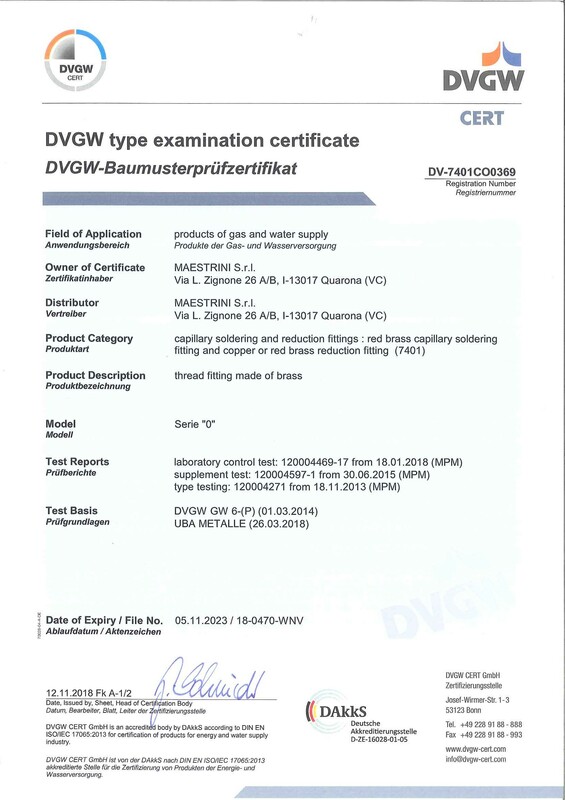 Brass and CR brass fittings for use with gas and drinking water are certified by DVGW. 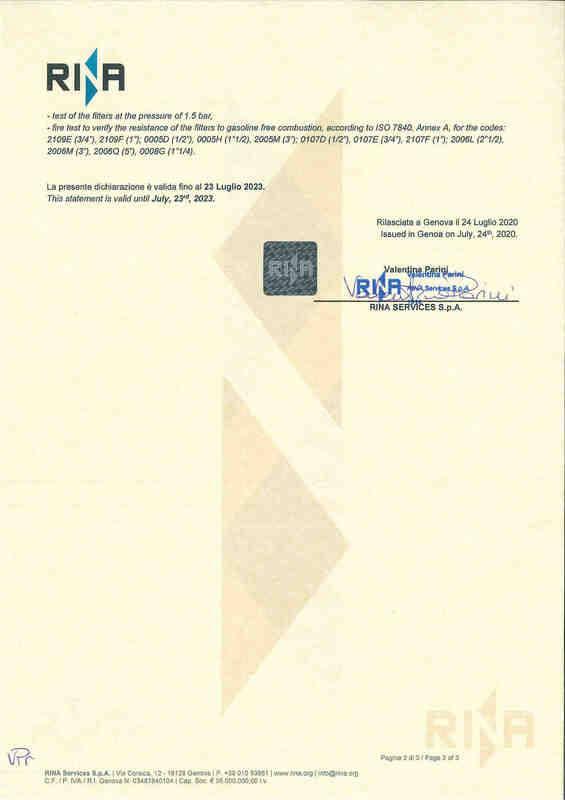 Details on articles and dimensions actually covered by the certification available in the Products section. 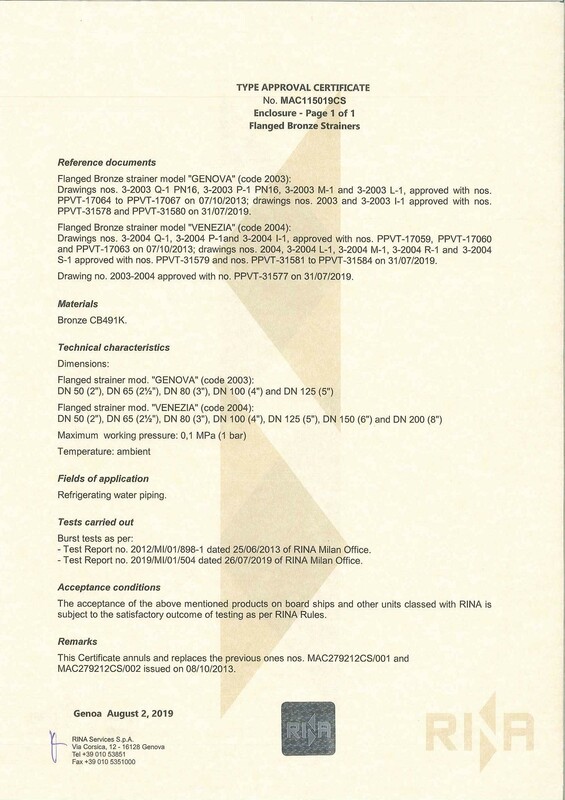 Raw water strainers are periodically tested by RINA and the flanged strainers in bronze have the RINA MAC type approval certificate. 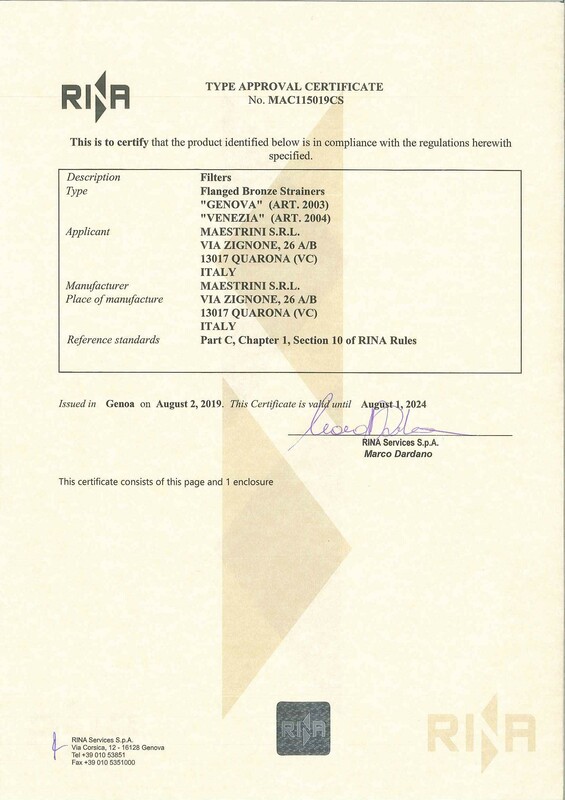 All the raw materials we use are certified and checked and come from primary Italian and German suppliers. 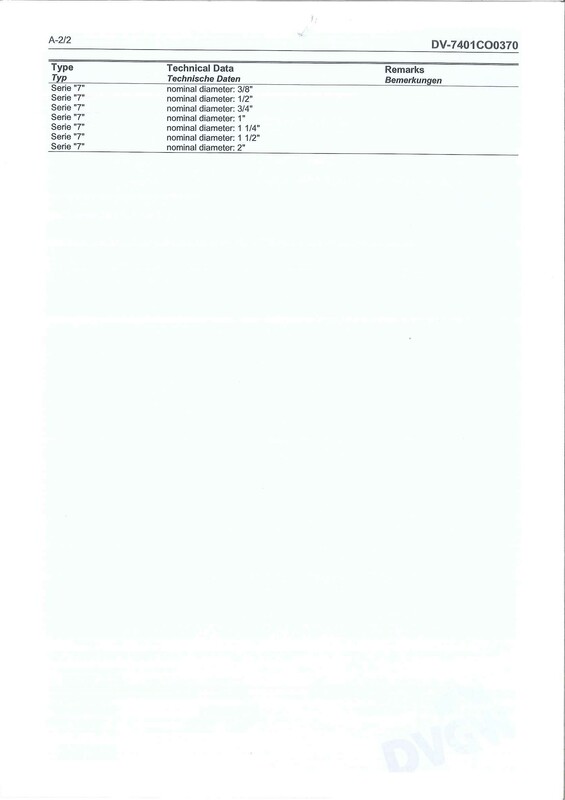 The whole producing process is subject to very careful controls, the machines are periodically checked and adjusted according to a precise program of maintenance. The care for every piece is so extreme that the items obtained from castings are tested under pressure “singularly” piece by piece and not statistically. Anyway, if in spite of all our efforts, one piece will result defective and will cause damages, please note that the whole production is covered by an insurance policy. Certificate for articles in CW617 brass alloy pursuant to the prescriptions of the Positivliste der trinkwasserhygienisch geeigneten metallenen Werkstoffe (Positive list of metal materials hygienically suitable for contact with drinking water) of the Ministry for the environment of the Federal Republic of Germany. Certificate for articles in CB770S CR brass alloy pursuant to the prescriptions of the Positivliste der trinkwasserhygienisch geeigneten metallenen Werkstoffe (Positive list of metal materials hygienically suitable for contact with drinking water) of the Ministry for the environment of the Federal Republic of Germany. 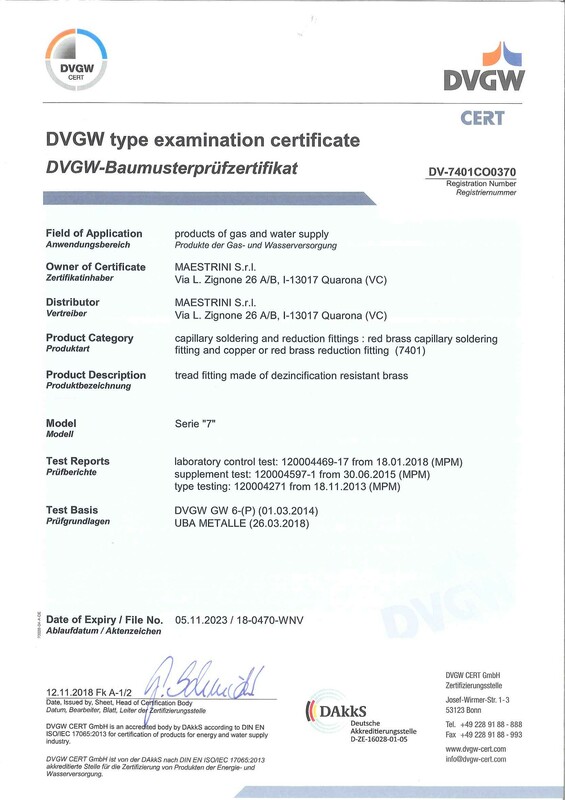 Type approval certificate of Maestrini flanged water strainers in bronze. 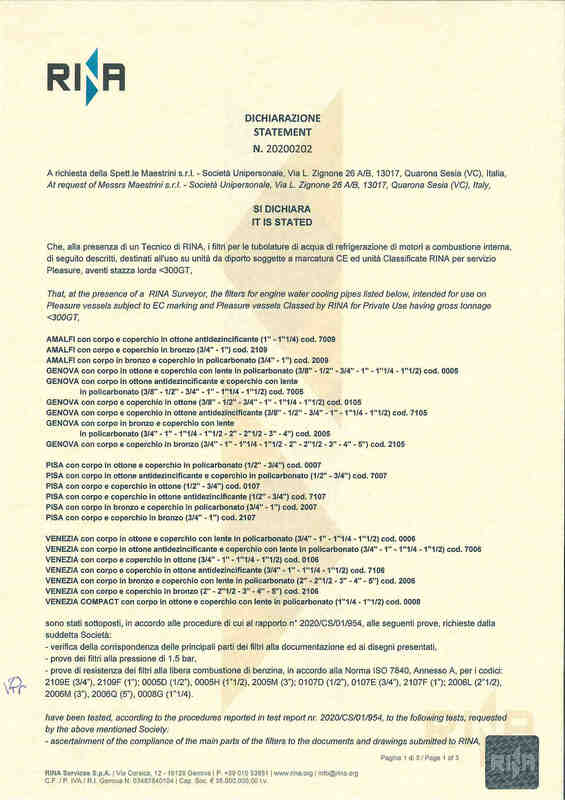 Statement on periodical testing on Maestrini water strainers for use on pleasure vessels.